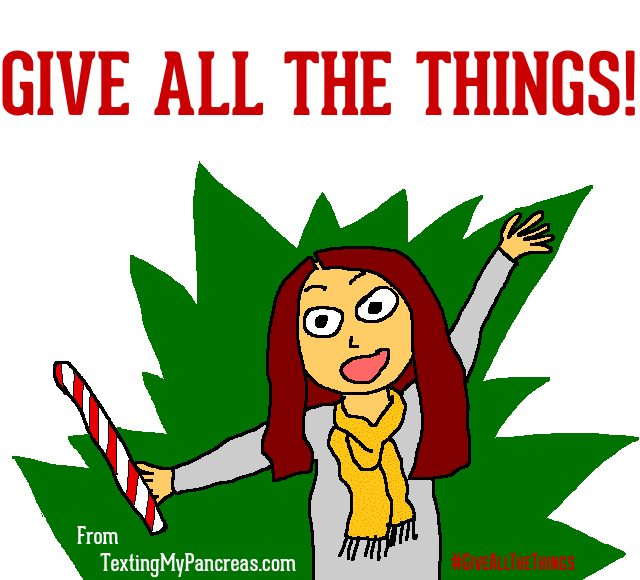 Texting My Pancreas: #GiveAllTheThings: Diabetes Forecast Subscription. UPDATE: Congratulations to the winner - Jasmine! My favorite features are recipes (with carb counts!) and about progress in research and technology. DF is pretty solid on those! #GiveAllTheThings 2013 is winding down - only two giveaways are left! Thanks for playing along with me all month, and I hope you've enjoyed receiving these goodies as much as I've enjoyed being able to give them away. I also hope that the generosity and kindness shown by all of these sponsors inspires you to show some generosity and kindness to others in your life! 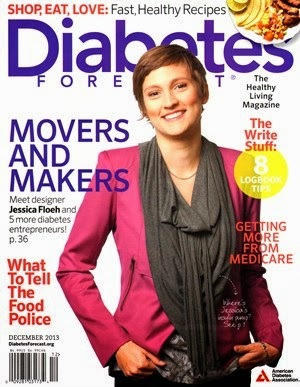 What you can win: A one year subscription (12 issues) of Diabetes Forecast! Why you want this: "In every jam packed issue of DIABETES FORECAST® magazine, you’ll read exciting features on exercise, fitness and wellness for all ages…Profiles of everyday people who are successfully living with diabetes….Plus great recipes for preparing food that’s not just delicious, but that’s good for you, too." Diabetes Forecast is a publication of the American Diabetes Association. To enter today's contest: Use the Rafflecopter widget below to enter today's contest. You can enter today's contest by leaving a comment on this blog post (required) telling me what kinds of features or stories you most enjoy reading in diabetes publications. I love reading stories of others experiences, words of wisdom, etc. I also really like reading what's new and upcoming in the diabetes world whether it be new products or new advances in treatments. Thanks for all your giveaways!! I love reading about progress in research and the latest new gadget. Thanks for all the giveaways! I would love to read about others successfully living with diabetes, anything exercise related and get some new recipes! I love getting recipe ideas and reading about new technology/ways to manage diabetes. My favorite articles are on technology and research. I like to read about others personal triumphs living with T1; they give strength to others. Also articles that feature new products! I love reading all about the new technologies and progress being made! I really like reading about the people with diabetes and their personal triumphs with the disease. Also, the recipes are great! I have only read Diabetes Forecast a few times, However, I would love to read and learn more about diabetes in general ! I really miss my Forecast subscription. I am always interested in new diet and exorcize techniques that I can incorporate into everyday life to improve my control.